In an effort to provide better service to Belize Electricity Limited’s (BEL) customers, a power interruption was scheduled on Saturday, March 4th for San Pedro Town and Bomba Village on the mainland. The purpose was to remove problematic osprey nests that have caused power outages in the past. In less than two hours, BEL teams, comprised of work crews, supervisors and BEL’s Environmental Specialist, managed to successfully remove the empty nests from the transmission structures in Bomba Village and at the southern end of Ambergris Caye. According to Vonetta Burrell, BEL’s Manager of Public Relations, the company has been aware of the osprey nests on the transmission structures in both areas. “We have been monitoring the wildlife activity. So to better manage reliability for customers, and take care of wildlife in Belize, we installed platforms for the birds to build their nests, away from the power system. These nests have caused power interruptions in the past, but now, we have an alternative option for the birds to build their nests. We will continue to monitor the activities of osprey in the area,” said Burrell. The Government of Belize (GOB) continues its efforts to retrieve $800,000 from Andre Vega, son of former Deputy Mayor, Gaspar Vega, and Attorney Sharon Pitts. This is the result of a controversial land transaction deal, wherein Vega and Pitts obtained the land title for a privately owned property located at Mile 5 near the Haulover Bridge in the Belize District. After the Office of the Solicitor General gave both Vega and Pitts 30 days to refund the money, the GOB filed a lawsuit in the Belize Supreme Court against Vega in December 2016. After having difficulties locating Vega, Acting Solicitor General Nigel Hawke confirmed that the GOB has served lawsuit documents to Vega’s attorney, Estevan Perrera, on February, 28, 2017. According to Hawke, Pitts has been cooperating, but Vega is nowhere to be found. “I wouldn’t know if Vega is out of the country. But certainly, in relation to the matter with Ms. Pitts, she has filed her defense. Her matter was served on her and she’s filed a defense so we now await a date from the court for case management in relation to her matter,” said Hawke. The Belize High Commission in London is pleased to announce the revitalization of the All Party Parliamentary Group for Belize as signaled by an Annual General Meeting held today, 7 March, 2017 at Portcullis House. Over the past few years, the group had become inactive. High Commissioner Perla Perdomo sought to revitalize the group by bringing together former members for suggestions on who could be invited to participate. MP for Beckenham, Colonel Bob Stewart DSO quickly organized an Annual General Meeting. In her presentation, High Commissioner Perdomo remarked on the strong historical and current ties between Belize and the United Kingdom and spoke about the importance of the APPG at this critical time for both Belize and the United Kingdom. She spoke about Belize’s reliance on trade with the UK, particularly for its sugar and banana exports as well as future trade and investment opportunities. The High Commissioner also briefly spoke about Belize’s inherited border dispute with Guatemala. Every year the Ministry of Human Development, Social Transformation, and Poverty Alleviation runs its ‘Give your Heart to a Child’ national campaign. The project aims at recruiting foster or permanent homes for children who are living in children’s homes or abusive households. In San Pedro Town, the office of Human Development Services has been advocating for this initiative, and is once again reaching out to the community for their support. Speaking with Adan Kay, Human Development Officer for San Pedro, Kay says that most institutions housing children keep increasing in population. According to him, many of these children have been abandoned by their relatives and spend most of their lives in such institutions. “We have different options how people can become involved and make a change in the lives of these children,” said Kay. “For instance, we are looking for families that would probably take a child with them for the weekend or during certain holidays and share their time with them.” Kay said that the database for foster homes in San Pedro is very small and he hopes it can increase this year. They need families who are willing to foster teenagers, siblings, children with special needs, and babies and younger children at times. Eliminations are fast approaching in the San Pedro Town Council Softball Tournament, and teams fought for a spot in another round of games this past weekend at the Honourable Louis Sylvestre Sporting Complex. Starting at 9:30AM on Sunday, March 5th, teams- Rusties, San Pedro High School (SPHS), Atlantic Bank, Sea Star and Quality Reef kept softball fanatics entertained throughout the day’s games. SPHS and Atlantic Bank faced off in the first game, with SPHS winning via mercy rule in the third inning, 11-1. The second game saw Quality Reef walking away with the victory via default after Tuff E Nuff did not show up once again. SPHS continues to lead in the tournament with six consecutive wins. The current standings for the other teams are: Sea Star four wins and one loss. Extreme, three wins and two losses, while Rusties has two wins and three losses. Quality Reef has two wins and three losses, followed by Atlantic Bank with one win and five losses, while Tuff E Nuff remains winless. All of us are curious beings, in one way or another. And we think that our new shark anatomy poster will spark your curiosity and wonder as it reveals some of the massive diversity in form and function of these awesome animals. We focused on a great hammerhead for our anatomical cutaway as aside from being beautiful iconic animals, hammerheads are uniquely evolved and the larger bodied hammerheads are now globally endangered to extinction due to overfishing. 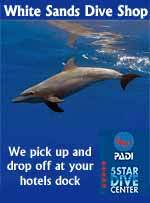 Learn about the magnificent sharks and commit to doing at least one thing that helps sharks. This could include not eating sharks (panades, cecina, steaks, liver oil), not buying shark curios, or booking a shark encounter tour that benefits local communities. Sabal's Cassava was the first stop on Form 3 and 4 business students' field trip to Dangriga. OA students observed all the steps involved in the production of cassava bread (ereba) in this family-run business. Next stop...Marie Sharpe's! Mr. Lorenzo is teaching his business students about real-world entrepreneurs and local enterprise. Caye Caulker Ocean Academy Field Trip to DangrigaMr. Lorenzo's business classes visited Marie Sharpe's Dangriga factory today and learned about the entire process involved in creating top quality Belizean hot sauces and preserves. This photo is a cardboard cut out but....stay tuned for our group photo with the real Marie Sharpe! The north Ambergris Caye neighborhood watch will be holding a crime watch meeting to revitalize the group on saturday March 11th at 10am at the conference center above the grocery store at the Grand Caribe Resort. All interested stakeholders are invited to attend. Belize was one of about thirty Commonwealth countries represented at the first ever Commonwealth Trade Ministers Meeting held in London on 9th and 10th March, 2017. The Belize delegation was made up of Mr Jose Alpuche, CEO in the Ministry of Agriculture and Fisheries, HE Perla Perdomo, High Commissioner for Belize to the United Kingdom, and Mr Dylan Vernon, Ambassador for Belize to the European Union. The meeting is the first of its kind and was organized by Commonwealth Enterprise and Investment Council in coordination with the Commonwealth Secretariat. On 9th March, Trade Ministers and Representatives participated in several roundtable discussions including Financial Services, Ease of Doing Business, Technology and Innovation, Business and Sustainability, Creating and Export Economy, and Attracting Investment. On 10th March, the Ministers and Representatives participated in a closed Ministerial meeting before a entering in a larger meeting which addressed harnessing the Commonwealth advantage in a changing global trade landscape and leveraging opportunities and addressing challenges to intra-Commonwealth trade and investment. The Ministry of Agriculture, Fisheries, Forestry, the Environment, Sustainable Development and Climate Change, is pleased to announce the appointment of Dr. Percival Cho as the new Chief Executive Officer (CEO) with oversight for the Fisheries Department, Forest Department, Department of the Environment, Sustainable Development, National Climate Change Office, and the Solid Waste Management Authority. Dr. Cho will work specifically with Minister Omar Figueroa who has direct responsibility for the aforementioned portfolios. Dr. Cho is a career public officer with over 17 years experience serving in the Ministry of Forestry. Save the date folks. The ducks are coming, on March 18th the Rotary Club of Belmopan will be having its Belize Duck Race Kick off event. Come on out and purchase tickets for the Belize Duck Race to be held on June 24th 2017. Please join us at the Corozal House of Culture on March 16 at 10 AM as Felicita Cantun talks to us about “The Legends of Belize”! Should prove to be a very interesting topic and very informative. 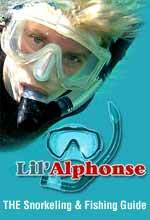 We will also be querying the membership on what type of excursions we would like to take. Hope to see you all there! In celebration of Women’s Month the San Pedro House of Culture is delighted to present the 2nd annual Art Show by the Women Art Group, showcasing our exceptionally talented female artists of San Pedro. All proceeds from the sales of the paintings will be donated to the “Women in Need” Foundation. Paintings, wooden bowls, jewelry, will be on display from March 11th to 19th. You are cordially invited to the exhibit launch Saturday, March 11th beginning at 9 am. Today, March 10th, at a ceremony at the National Agriculture and Trade Show Grounds, the Ministry of Agriculture, Fisheries, Forestry, the Environment and Sustainable Development handed over 25 computer systems to the Statistical Institute of Belize (SIB). The donation valued at over 60 thousand dollars is made possible through the Ministry’s Capacity Building for Strategic Planning Management of Natural Resources in Belize Project (CD2), which is financed by the Global Environmental Facility and the United Nations Development Programme. Pictured are Mrs. Diana Castillo-Trejo, Deputy Director General at SIB and Dr. Omar Figueroa, Minister of State with responsibility for Forestry, Fisheries, the Environment & Sustainable Development. The Association of Caribbean States (ACS) held its 22nd Session of the Ordinary Meeting of the Ministerial Council today, March 10th, in Havana, Cuba. The ACS brings together 25 nations of the Caribbean region. These nations include the 15 member states of CARICOM, as well as Latin American Member States such as Cuba, Mexico, and Central and South American countries that share the Caribbean Sea. The meeting underscored the work that the secretariat has undertaken with the aim of re-energizing, re-organizing and ultimately rebranding the ACS. The very specific work of the Association in reference the protection of the Caribbean Sea as a shared patrimony was highlighted. The effort of Secretary General Dr. June Soomer to strengthen the ACS, instill strategic planning and to attract donors was applauded. Mayor Daniel Guerrero and Hon. Manuel Heredia Jr., Minister of Tourism & Civil Aviation and Area Representative of Belize Rural South, met with members of Belize Water Services (BWS) on Thursday, March 9, 2017 to discuss BWS intentions of further expanding its sewage system along the Laguna Drive in San Pedro Town. (Laguna Street from High School to Sir Barry Bowen Bridge) (As shown in pictures.) CEO of BWS, Mr. Alvan Haynes along with Mr. Sanjay Keshwani (BWS Technical Services Manager), Mr. Dave Pascascio (BWS Operations Manager) and Mr. Jermaine Jones (BWS Operations Supervisor) were all present on site with Mayor Guerrero and Hon. Heredia as they visited the areas that will be connected to BWS’ sewage system. Hundreds of Belizean braved inclement weather to attend the annual "Kidney Walk" organized by the Kidney Association of Belize. Many are survivors, relatives and sympathizers of those who live with and die from kidney disease and renal failure. Proceeds from t-shirt sales help fund the work of the association. In celebration of Women’s Month the Corozal House of Culture was delighted to present the 7th annual Arte con Voz de Mujer Exhibit; creating a platform for expression and appreciation by showcasing our exceptionally talented female artists of Corozal. Sculptures, paintings, textiles, basketry, photography, charcoal drawings, animation and more will be on display through to the end of March. Who's ready for Easter Fest? I know we are!! We are excited to have back this year D.j. Karlo from Corozal,Belize, DeeJay Capone from Florida,Usa and DJ ELEOS representing Puerto Rico, with special guest djs,Film crew and more!!! More Sound and Lighting to make The Holiday Hotel Shake!! We will be at the "Women In Art Fair" next weekend in Cayo. 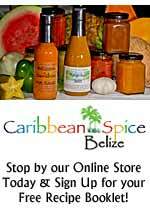 Please come and see us and all the other beautiful women making wonderful local products here in Belize. Please come out and support our country's amazing small businesses!!! The Jacob's Rehabilitation Farm Center located in the village of Xaibe is a wellness center for those battling substance abuse and addiction. It was a great honour yesterday to have been visited by our Chief Justice of Belize, Kenneth Benjamin. Music was provided by the Jacob's Farm Turtle Band and scrumptious meal of Belizean cuisine was prepared by Adela Pederson and dessert by Pastor Dan Mary Elizabeth. It was a day well spent by members and the Chief Justice of Belize. Magnificent time of excitment and hearts filled with gratitude. We join in welcoming to Corozal our Honourable Chief Justice, Kenneth Benjamin. It was an honor to participate in the inauguration, and to host once again Oceana Belize, in particular its Vice-president Janelle Chanona, on the occasion of the recycled art presentation “Lone Wrasse: Exhibition of Trashy Art” that will be on display at the Mexican Cultural Institute from today until May the 7th. The exhibition shows 32 pieces that were made using marine debris from coastal and island beaches across Belize. The message is clear: Let’s create awareness of the need to protect our environment and avoid contaminating the sea by throwing trash in it. 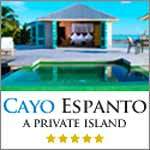 Cayo's Easter Fair will be on April 15th and 16th this year, and once again, will be at Macal River Park. Now's the time to get your stall. If you're interested, call 804-2035 for more information. Last week Friday night, the big breaking news was that Superbond 3.0 was just about a done deal. Government had made a revised final proposal and the creditor committee had accepted it. That deal expired today at 5:00 pm New York Time. At that time government had hoped to have buy-in from 75% of the bondholders. That 75% would trigger what's known as a collective action clause, forcing all bondholders in, and sealing the deal. But, that didn't happen, and the news tonight is that Government has had to grant another extension. A press release posted on the government's website a few hours ago says that government is now extending the offer to Wednesday, 15th March, 2017. So is this a sign of trouble ahead? Or that the re-negotiation which government has boasted about might not go through? Not really. Those close to the process say it's really more of a paperwork issue than anything else. We are told that 75% of the bondholders have consented and it's just a matter of processing the paperwork to make it official. In today's press release, the financial secretary is quoted as saying, quote, "a large number of positive responses to the revised Consent Solicitation has already come in and…this extension is merely to give a bit more time for the process to be completed. The UDP's two safest seats in the country are considered to be Queen's Square and Mesopotamia. In the last three elections, representatives Dean Barrow and Michael Finnegan have garnered more than 76% of the votes in each election. That's as safe as they come, but, we can't say how much longer they will be that way because Queen's Square's Dean Barrow will be retiring shortly, and tonight we can announce the same for Mesopotamia's Michael Finnegan. Sure, Finnegan has been publicly flirting with the idea of retirement for some years now, but today the six term representative and party whip made it official in an exclusive interview with Jules Vasquez. Here's how he put it:... Michael Finnegan - Area Rep, Mesopotamia: "I believe in the old Methodist philosophy: do all the best you can, for all the people you can, for as long as you can. And I think, and I want to believe that I have reached the end of my road as far as electoral politics is concerned and I will not be defending my seat in the Mesopotamia division." Jules Vasquez - reporter : "Explain the consideration, the physical circumstances, the entire lay of everything in your life that has brought you up to this point, because you have been in politics from the 60's." Michael Finnegan - Area Rep, Mesopotamia: "1965." There are grace concerns tonight for the safety and wellbeing of taxi driver Elbert Gillett. The 66 year old was reported missing by his daughter this morning. According to her, Gillett left his home last night at 11:00 in his green Geo Prism and has not been seen since. 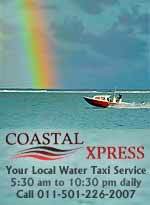 What's most troubling is that his taxi was found this morning on Benbow Street in Belize City. It was burnt and abandoned, but there was no sign of Gillett or his belongings. Gillett is as you see him in this photo, and about 5 feet 7 inches tall. He was last seen wearing a button down shirt and dress pants. Anyone that has information about his whereabouts is asked to contact their local police station. His daughter declined an interview today. There was a disturbance at Gwen Lizarraga High School in Belize City today, where police and an ambulance had to be called. 7News has learnt that it was a dispute over tardiness. The school has long complained to parents and students that tardiness was a problem, and so they instituted a policy of locking the gates at 8:10 - which is 10 minutes after school starts. Today, two handfuls of late students were waiting outside when we understand one of the male students tried to force his way in. He ended up injuring his elbow on the gate. Police were on the scene and decided to take him to the hospital for treatment. The other students were let in after 9:00. And while it might seem to be a fairly minor administrative issue, it's a problem that's been flaring up for some time. That's probably why we saw the most senior officials in the Ministry at the school: that's Chief Executive Officer Debbie Domingo, and Chief Education Officer, Carol Babb. They were on their phones and meeting with as many as three senior police officers for about half an hour. When they left, Babb told us that it was too early to talk, but both the Board and the Administration would have to hold meetings before further action can be taken. Two weeks ago we told you that Police constable Jamil Scott was convicted of the theft of a police hand held radio and sentenced to 3 months in jail. But tonight he is free on bail. So how does a convicted person get bail? Well, Scott appealed his conviction and sentence and today Justice Denis Hanomansingh granted a stay of execution and offered him a bail of $5,000. Scott was represented by attorney Leeroy Banner while the Crown was represented by Crown Counsel Kileru Awich. This morning, members of the environmental community gathered in Belmopan to send a message to the Prime Minister about keeping our barrier reef system safe. The reef is currently on UNESCO's "in-danger" list, meaning that organization that designates World Heritage sites is worried about the management and longevity of Belize's largest tourist attraction and greatest natural wonder. Our news team went to Belmopan to see for ourselves... Alex Courtenay reporting: Today the World Wildlife Fund in Belize kicked off Reef Week by taking their message of conservation directly to the office of the Prime Minister. Conservation stakeholders staged a small parade around the National Assembly building, where they delivered 265,000 virtual letters to the PM. WWF's Advocacy Lead told us more. Valentino Shal - WWF: "This is an ongoing campaign that we have undertaken since 2009. Belize's World Heritage site, the Belize Barrier Reef Reserve System has been in the endangered list with UNESCO and there are several measures that the government needs to take to ensure that it's properly protected and then it will be taken off. Those measures have not yet been met and year after year we are making very slow progress. So we need to bring this matter to the attention of the Prime Minister." Talking Taxes With Fin. Sec. The new budget will be presented on Monday, and all this weekend, government's number crunchers will be trying to come up with the right mix ox takes and expenditure to reach fiscal targets. This year that budgetary exercise is more purposeful than ever since government has committed to specific fiscal targets, namely a primary surplus equal to at least 2% of GDP. Right now there is a primary deficit. On Wednesday, the Financial Secretary explained how government plans to turn that negative into a positive:… Joe Waight, Financial Secretary: "The commitment we made to the bond holders and to ourselves is to consolidate, to do an adjustment to take primary which is a measure of your savings, to take that primary from a negative minus one or so up to a half a point or a positive 2.5. How do you do the consolidation? A blend of tax measures and tax increases, a lift in taxes and also a squeeze in expenditure. There's an array of taxes you can look at." And so while the government has to take its surplus commitment very seriously, in the next fiscal year alone, government needs 70 million more in additional tax revenue. But, won't they choke the economy by squeezing out more taxes from consumers, workers and businesses? That's what we asked The Fin. Sec. today:.. Jules Vasquez, 7News "Will this not have necessarily a natural contractionary effect on the economy if people are more taxed and have less disposable income?" Joe Waight, Financial Secretary: "It's always a concern that you don't want to increase your tax to the point where it becomes negative impact growth. It's a balancing act you have to do." The Budget will be Rea don Monday morning, and by Monday night's new we'll be able to tell you exactly where that 70 million in additional tax revenue is coming from. Darren Gonzalez, a Belize City man who was living on San Pedro, is stuck in Belize City tonight without his personal belongings. He claims he was banished from the island by police. He says claims that the cops are being unfair to him because he is no criminal, and yet, he's not being allowed to return to the place where he wants to continue to make a living. He visited our office to complain that the police are going exceeding their authority by barring him from the island. He added that they are being unreasonable to the point that they don't want him to come collect his belongings. He came to us out of frustration because he says that he's being given the run-around. Here's how he put it: Darren Gonzalez, Upset with San Pedro Police: "I was living there 13 years ago and I moved back to Belize to be around my family. I went back out for 1 month and 1/2. I was working with BTL pulling with the 4G wire and trying to make a better life for myself. That job finished and I started to look around for jobs. Monday Jemott asked me to come in the office to see me. When he came to see me he detained me." A highly trained Belizean is joining the ranks of Government CEO's. Dr. Percival Cho is the new CEO of Agriculture, Fisheries, Forestry, the Environment, Sustainable Development and Climate Change. He takes over from Dr. Colin Young, who took a job as the CEO of the Social Security Board. And while Young was a doctor of ecology, Cho is a forestry expert and natural resource scientist who holds a PhD in Environmental Biology from Lancaster University in the United Kingdom, as well as a Masters in Forestry from the University of Aberdeen in Scotland, and a Bachelors in Forest Resource Management from Clemson University the US. A government release notes that he recently completed a 2-year post-doctoral appointment at the University of Oxford where he is registered as an Honorary Research Associate. Cho will work with Minister of State, Dr. Omar Figueroa. At the start of our last segment we told you about missing taxi man, Elbert Gillett. Police found his car this morning in Belize City and it had been burnt. There was no sign of the 66 year old cabbie. Well, during the news we have learned that sometime this evening a man went to the Caribbean Shores police station and handed over two ID'S to police. One of them, this driver's license was for Gillett. He told the cops that he found it somewhere in Ladyville. The 66 year old was reported missing by his daughter this morning. She said he left home last night at 11:00 and has not been seen since. Gillett is as you see him in this photo, and about 5 feet 7 inches tall. He was last seen wearing a button down shirt and dress pants. Anyone that has any information about his whereabouts is asked to call the police. DPP is New VP Of Bar Assoc. The Bar Association of Belize has a new executive committee, elected at the annual general meeting on Wednesday. Pricilla Banner serves another term as president, and she is joined by DPP Cheryl-Lynn Vidal who has been elected as Vice President. Leslie Mendez was elected as Secretary, and Jose Alpuche was elected as treasurer. Roberta Magnus Usher, Natalia Bevans and Mikhail Arguelles are now serving as Bar Committee Members. In other news from the legal community, Young's Law Firm, the late Michael Young's law practice, closed its doors today. It was one of the bigger law firms in Belize, but when Young committed suicide last year October, since he was the sole proprietor, it ended up in the hands of his family, who are his executors. We've since learned that 2 of the partners have come together with another attorney to form their own practice. This new law firm will be the spiritual successor of Young's Law Firm, but will bear a different name and have a different address. It is still unclear what exactly will happen to the employees of Young's Law Firm who, we are told, have been paid off. Today, the National AIDS Commission, the Belize Family Life Association, the Ministry of Health and the Special Envoy for Women and Children teamed up for a health fair. The event was themed "The Best Defence is a Good Offense", and ti was timed to commemorate today's importance as the National Women and Girls HIV Awareness Day. We stopped by and spoke with a representative from the NAC: Arthur Usher - Communications/Programs OFC. NAC: "We are celebrating World Kidney Day as well as International Women's and Girls HIV Awareness Day. It's a collaborative effort between the kidney association and national aids commission, Ministry of Health and BFLA and also the special Envoy for Women and Children. So, what we are doing today is providing information as well as free testing in all these areas. Its open to the general public as well as youth, girls, women and anybody can come in and get the test. We do have blood pressure checks, we have kidney checks, we have HIV testing and with all this, we do have all the information, the follow up, the pre and posttest and whatever else information they may need. So each organization has their own booth and their own information sharing." Belize has a newly published author, and she's Althea Garbutt, a teacher at Nazarene High School. Her book, 'Rootsville', was launched at the UWI Open Campus Auditorium yesterday. It's a collection of 4 short stories, and a play. They are all based on familiar themes such as abuse of power by law enforcement, party politics, and the way Belizeans "throw phrase" when they are quarreling with a neighbor. It's intended for students in the upper divisions of primary schools, and high schoolers in 1st and 2nd form. But she told us she hopes the book will be embraced by readers of all ages: Althea Garbutt - Writer, Rootvilles: "The name of this book is rootsville and my target audience is the upper division for the primary school and 1st and 2nd formers. It took me quite a while because these were stories that I wrote throughout the years and they are my babies and I kept them very close to me and I didn't want to release them because it's a hobby. The writing was hobby for me but a friend of mine, she saw one of my stories and she was like, why don't you put it out there?" The pinnacle of the cycling calendar, the Holy Saturday Cross Country Cycling Classic is just 5 weeks away, and that why this weekend's Belmopan Classic is important. Cycling official Kwame Scott told us that the 36th riding of this 100 mile race is an important proving ground for elite cyclists. The elite race starts at 9:00 in Belmopan. As you heard, it will be live on the radio. Last week we told you about the funeral for Leela Vernon, the Queen of "Brokdong". Well today we got a visit from "Cocono Bwai" the self titled Pricne of Brokdong who says he put out a new song and video in a rush to let the public know that Leela's spirit lives:… Cocono Bwai will release the video on the internet, and you can also see it here on Channel 7. Former Belize City deputy mayor Eric Chang, was summoned to appear in front of the Senate Select Committee on Wednesday primarily to address claims made in a special report by the Auditor General that he (Chang) and Belize City Council Financial Controller, Patrick Tillett, allegedly bought 8 visa stickers that were stolen from the Immigration Department. However, after the committee sufficiently interrogated him on that matter, senators quickly turned to the Won Hong Kim saga, which involved the issuance of a Belizean nationality certificate and passport to a South Korean national in a Taiwanese prison. The Auditor General had been able to obtain an email dated September 16, 2013, written by Cherie Nisbet, Belize’s Ambassador to Taiwan, in which she documented that Eric Chang had made efforts to assist Kim. In her email, Nisbet stated that she had gotten an urgent call from Chang in which he asked if she could urgently issue a visa to two South Korean nationals who needed to go to Belize the next day. The billion-dollar superbond problem: has it really been solved? A quick tally of interest payments made by the Government of Belize since 2002 on what is now the billion-dollar superbond, being restructured now for the third time, reveals that the figure is roughly a billion Belize dollars, with roughly $500 million paid since the year 2008 and over $800 million due in interest alone between now and when the bond matures in almost two decades. Currently, the bonds are set to mature in 2038, with interest payments increasing from the current rate of 5% to 6.767% when the next payment is due in August 2017. Prime Minister and Minister of Finance Dean Barrow announced at a press conference held this morning at the Best Western Belize Biltmore Plaza in Belize City that the Government is close to getting the required 75% of creditors to approve new terms it proposed last Friday to slash the debt by cutting back on interest payments and delaying the repayment of principal. The offer from the Government—which missed the February 20 coupon payment of BZ$26 million on the superbond—expires this Friday, and Finance officials seem hopeful that other bondholders will agree to the amended terms, which also proposes 5 soft bullet payments of equal size from 2030 to 2034 to repay the principal. Trade unionists who attended the Prime Minister’s press conference held this morning to unveil a breakthrough in the superbond negotiations, left clueless on what new tax measures would be tabled at the reading of the national budget next Monday, March 13, although Prime Minister and Minister of Finance Dean Barrow did disclose to us that fiscal consolidation measures are being planned to raise $70 million more in revenues while cutting spending by $30 million. Sharon Fraser, president of the Association of Public Service Senior Managers (APSSM); Eldred Neal, president of the Public Service Union (PSU); and Jackie Willoughby, interim president of the umbrella organization – the National Trade Union Congress of Belize (NTUCB); were all present when Barrow announced that there would no retrenchment, no increment freeze and no further delay in the final salary adjustment of 3% which was due to be paid to public officers and teachers last year. He declined, though, to get into details on tax measures and belt-tightening on the horizon. The Opposition, the People’s United Party (PUP), called a press conference this afternoon at their Independence Hall headquarters, where the PUP Leader Hon. John Briceño presented the PUP’s take on the recently concluded negotiations between the Barrow government and Belize’s bondholders, dubbed Superbond 3.0. Briceño said that he listened to the Prime Minister’s press conference yesterday and can’t help but think that the Prime Minister is living in an alternate world, “spewing out these alternate facts that he has been repeating so many times, that I believe that he has now convinced himself that it is the truth.” When the Prime Minister read his first budget in 1998, he had to admit that the PUP left a primary surplus of 98.1 million dollars, which is 4 percent of GDP, Briceño said. $3,000 just to deliver an immigration document! For weeks the Senate Select Committee has been zeroing in on the case of 8 missing visa stickers that were reportedly stolen from the Western Border Station in December of 2012. According to the Auditor General’s Special Report, the stolen visa stickers were bought by former Belize City Council Deputy Mayor Eric Chang and the Council’s financial controller, Patrick Tillett. On Wednesday, Tillett appeared in front of the Senate Select Committee and confirmed that he had been in possession of 6 of those visa stickers for 6 visa applications for Chinese nationals. According to Tillett, he simply completed the application forms and passed them to a man identified only as “Mr. Middleton”, who delivered them to the Immigration Department and oversaw their completion. The Atlanta Silverbacks Football Club has signed Deon McCaulay for the 2017 NPSL season. McCaulay most recently played for Verdes FC in the Belize Premier Football League. The 5’93 forward turns 30 this September and looks to bolster the already prominent Silverbacks attack. This is McCaulay’s second stint with the club, previously signing in 2014. But his success is most notable in his achievements with Belize’s national team. McCaulay is the all-time leading scorer for the international side and was the leading scorer (11 goals) in 2014 World Cup Qualifying, tying Robin Van Persie of Netherlands and Luis Suarez of Uruguay. You can keep up with Deon on Instagram (@deonmccaulay/Deon McCaulay Official), and keep up with the club on all social platforms throughout the 2017 campaign. Atlanta opens their NPSL schedule at home against the Birmingham Hammers on Saturday, May 6th at 5:00 PM. Be sure to get your affordable ticket package for the upcoming season by clicking the ‘Tickets’ tab. The Harbour Regatta Committee announces the winners of the 89th Baron Bliss Regatta, held in the waters off the BTL Park, Belize City, under the patronage of His Excellency Sir Colville Young on Sunday, March 5, 2017. WINNERS Optimist: Gold – Trent Hardwick (Belize Sea Scouts); Silver – Peter Joo (Placencia Sailing Club); Bronze – Adyanerie Teck (Corozal Sailing Club); Youngest Sailor – Kevin Andrewin, 9yrs (Gales Point Sailing Club). Bosun: “Seagull” – 1st Place Joshua Pott of Belize Sea Scouts. Multi-Hull: “Dart 16” – Keith Hardwick. The day of sailing in a brisk south-east wind, blue skies and “popcorn clouds” saw 13 Optimists completing 5 races on an inshore course in front of the BTL Park. Two Sea Scout Bosuns completed the course, and a “Dart 16” won the Multi-Hull unchallenged. Participating were sailing clubs of Corozal Bay, Placencia, Gales Point and Sea Scouts. We’re at the half-way point, Week 7, in the Premier League of Belize (PLB) 2016-2017 Closing Season, and every team has now registered a win, as Wagiya dropped Freedom Fighters for their first victory; but one team still remains undefeated – defending champions, Belmopan Bandits SC. In the only Saturday night game in Week 7 this past weekend, home standing Belmopan Bandits won, 3-1, over visiting Placencia Assassins, to record their sixth victory this season. The Bandits scored 3 goals, from Humberto Requena (38’), Aloisio Teixeira (58’) and Jairo Roches (60’), before Placencia replied from the penalty spot through Luis “Baaka” Torres (86’ PK). On Sunday, in front of their home fans at the Carl Ramos Stadium in Dangriga, Wagiya grabbed their first season win, 4-2, in the “Battle of the South” against Punta Gorda’s Freedom Fighters. Wagiya goals were by Hector Gomez (3’ & 65’), Alton Carr (46’) and Ernest Flores (85’); while Jarren Lambey (69’ & 72’) accounted for both PG goals. The defending champs, Hurricanes aren’t playing like it lately, and even their much-publicized hurricane shelter could not withstand the devastation brought on by Coach Brads Neal and the visiting Orange Walk Rebels on Sunday night in an NEBL holiday special. The Hurricanes suffered its second straight defeat and first to the Orange Walk Running Rebels this year, a team which they have traditionally dominated in their head-to-head match-up since 2014; and a team they had not loss to since February 28, 2015. Tonight, though, they succumbed reluctantly, losing by the final score of 86-84 in a perilous mid-season match-up. The Hurricanes, unexpectedly, have now started their title defense, winning just 2 of their first 6 games, while experiencing their second two-game losing streak of the season; something they did not endure throughout the entire 2016 championship run. So far the Prime Minister of Belize, Rt. Hon. Dean O. Barrow, has done a masterful job softening up the people of Belize for his “Stormy Monday” budget speech scheduled for next Monday, March 13, 2017, in the House of Representatives. Mr. Barrow had not spoken to the Belizean people in a press conference for weeks and weeks, leaving us mortals to speculate, in feeble powerlessness, about the nature and specifics of his 2017/2018 budget, a budget dreaded by all and sundry of rational capacity in The Jewel because of Belize’s financial and economic crisis. When he finally spoke, at a Wednesday morning press conference this week, it was to congratulate himself and his “team” for “bringing home the bacon” with respect to restructuring, for a third time in a little more than a decade, the frightening superbond. The problem is that the aforementioned “softening up” represents a political solution to what is a financial and economic problem. The reason we are in this mess is precisely because of political solutions to economic problems. The politicians of Belize since 1998, both from the Opposition People’s United Party (PUP) and the ruling United Democratic Party (UDP), have found themselves unable and/or unwilling to come clean with the people of Belize. In their electoral political brilliance, our political leaders concluded that the people of Belize were unable and/or unwilling to face the truth. Dear Editor, Russia recently announced that they will become the world’s largest exporter of healthy, non-GMO, non-industrialized food. However, their market is mostly Europe. This is a great opportunity for Belize to become a substantial exporter of healthy, non-GMO food for the Caribbean and the Americas. There is a growing number of people opting for healthy pesticide-free produce right here in Belize. A food co-op project started by Pro-Organic Belize (POB) last October quadrupled in size in a few months just by word of mouth. The farmers who are supplying pesticide-free harvests to the co-op are greatly benefitting financially and consumers are happy to be eating healthy non-toxic foods. 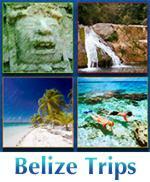 Belize is known throughout the world for its unspoiled nature. This is a perfect opportunity for farmers, consumers, tourism and commerce organizations to get behind Belizean farmers in a concerted effort to increase production of toxic-free clean and healthy food for Belizeans and for a growing export market. Dear Editor, I read with great interest, the article in your Amandala of Tuesday, February 28, 2017 covering the very “historical” Address given by your Publisher, Mr. Evan X Hyde, at the Christian Workers Union AGM. For the unions and workers of our country, I take this opportunity to clarify the statement of information in the article, that the “General Workers Union” (GWU) faded away. In the early 1960’s, I joined my late uncle, Nicholas Pollard, Sr. and other family members to form the existing Christian Workers Union. In 1963, I left the CWU because Nicholas Pollard decided to bring in the late Ray Lightburn as president to curry favours from the then Minister of Labour, the late Lindbergh Rogers. Dear Sir, Am hearing two going backwards and absurd ideas floating around – the enforcement of having to present an income tax release to leave the country. Man, this thing dates back to when King Hatchet was a hammer. If the authorities need to detain someone, that is okay, but you must not and should not inconvenience thousands of persons to get to a very few. Has this requirement caught 10 culprits in the last decade? The bringing back of Business Income Tax in place of the Business Tax – the Business Tax substituted for the Business Income Tax because it is a surer and simpler way to collect the taxes. Under the old system, a lot less was collected. The stats can be checked by whoever makes decisions and is interested. If GOB needs more revenue, it just needs to raise from 1.75 to 2, or 2.5%. Many more millions will flow in. Hello everyone. Today we’re going to re-visit a topic that many of us may prefer to ignore: weight manage-ment and obesity. The good news is, weight management should be compatible with your body type and should not be modeled off the models in Vogue Magazine. We may have to do this discussion in two parts because there’s a lot to talk about. Weight loss has become a national past time, albeit an obsession, in the United States. According to the National Institute of Diabetes approximately 70% of American adults and 75% of American males are considered overweight to obese. The CDC estimates that by the year 2020, three-quarters of Americans will be obese (this statistic includes children and adolescents. Approximately 112 thousand deaths, annually in the U.S. are attributable to obesity. This is an epidemic, folks! Many of us don’t want to address what we should or can do about it, at the individual level. Two friends and delivery men, Albert “Ras Taka” Wade, 27, and Godwin “Paps” Panting, 23, were found shot dead on a feeder road between Miles 12 and 13 of the George Price Highway on Saturday, March 5, at around 2 p.m. Wade was shot five times, once in the back of the head, once in the right triceps, once in the right femur, once in the right side of the abdomen, and once in the left side of the back. Panting was shot three times, the most fatal being a shot in the left side of the face, which exited through the back of the head. Their bodies were discovered by a couple who were fishing in the area. Police were called; they processed the crime scene then transported the bodies to the Karl Heusner Memorial Hospital (KHMH), where they were certified dead at 4:50 p.m. It is believed that the men were lured to their deaths in a drug transaction turned deadly. According to Wade’s family, no drugs were found on the scene, and so they do not agree that he was involved in an illicit transaction. Two men were shot in Belize City on Wednesday night at around 8 in the Jane Usher Boulevard area. We understand that one of the men was shot in his foot while the injuries the other received are not yet known. We contacted the police for answers but we’re told that they were unable to provide the identities of the men as the men are not cooperating. I apologize for my absence, been busy planning and facilitating an event on Caye Caulker. It went fabulously and there’s more to come on that after all the official reports and press write-up are closer to being done. Meanwhile, back to this post – the FB votes are in plus I received a couple of emails on four award winning hotels from around the country of Belize, plus a Caye Caulker restaurant review. It’s a rave review for sure and no surprise either, that ViVA BELiZE Hotel Group and Adventure Company recently received nine 2017 TripAdvisor Travelers’ Choice Awards between three of their properties in The World, Central America & Belize categories. Congratulations to the following winners . The three ViVA BELiZE Resort Winners are The Sleeping Giant Rainforest Lodge in Belmopan district, Jaguar Reef Lodge & Spa and Almond Beach Resort & Spa both Hopkins in the Stann Creek district. Beginning on Saturday, March 11, 2017, Southwest Airlines will begin operating its brand-new non-stop route between DIA airport in Denver, Colorado, to Belize City, Belize (BZE). Southwest only has plans to operate the new route until April 22, 2017, based on rising demand from Colorado area residents to vacation in the Central American nation of Belize. In 2016, more than 13,000 passengers flew from Denver to Belize, and those numbers are expected to rise with the new non-stop Southwest flight. Southwest will be operating its Belize route once a week on Saturday during the peak travel season. The flight will depart DIA at 10:30 AM and arrive in Belize City at 2:50 PM using one of the company’s signature Boeing 373 aircraft that can carry up to 143 passengers. The new Denver-Belize route will join Southwest’s existing service from Houston, Texas (HOU) and a new route from Ft. Lauderdale-Hollywood, Florida (FLL) scheduled to begin on June 4, 2017. It’s Buckingham Palace’s Turn to Host San Ignacio Resort Hotel! Back in November, Prince Harry announced the initiation of the Royal Household Hospitality Scholarship—a 6-week programme that gives professionals from the Caribbean realms the opportunity to work at the Master of the Household’s Department in preparation for Royal Ascot Week in the United Kingdom. The scholarship was created with the aim of giving passionate and experienced individuals a once-in-a-lifetime learning opportunity in various areas of service —from working with complex chocolate and sugar crafts backstage to performing intricate duties for royal guests. And guess what?! The San Ignacio Resort Hotel team is overjoyed to announce that our Event Coordinator, Michelle Montejo, has been elected as one of lucky 9 individuals who will be hosted at the Buckingham Palace and Windsor Castle! 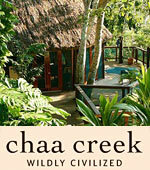 One of the most special ways to enjoy the majesty and wonder of nature in Belize is by staying in a luxury tree house. Located high up in the jungle canopy, the tree house gives guests an unparalleled view into the hidden world of the rainforest. Imagine spotting colorful parrots and toucans sail through the air or marveling as monkeys climb, play, and feed high above the ground. All of this and more is possible when you stay in one of our five-star tree houses. The range of either Riverview or Canopy tree houses at Caves Branch Lodge in western Belize are designed to be modern oasis of comfort. Each tree house comes with a four-poster king size bed, full bath with hot water, and in the case of the Canopy Treehouses, a deck on the second story complete with a soaker tub with an unparalleled view over the surrounding hills and jungle. 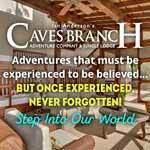 Able to accommodate up to six people, each tree house sits more than 200 feet above the Caves Branch River and features elegant furniture made from local hardwoods. In addition, 2 lovely Two Bedroom Treehouse units are also available for those situations of extended family or friends and provide the exact amount of privacy needed to enjoy an unforgettable visit to the rainforest of Belize. In celebration of Women’s Month the Corozal House of Culture was delighted to present the 7th annual Arte con Voz de Mujer Exhibit; creating a platform for expression and appreciation by showcasing our exceptionally talented female artists of Corozal. Sculptures, paintings, textiles, basketry, photography, charcoal drawings, animation and more will be on display through to the end of March. You are cordially invited to the exhibit launch Friday, March 10th 2017. It began at 7pm.An unprecedented exhibit showcasing ten women artists of Corozal Town was launched on 4 March, 2011, at the Corozal Town Hall. The exhibit delved into the lives of these talented women, biographies unveiled the successes of each one, and their art captivated everyone. Art Con de Mujer Exhibit Opening Ceremony commenced with the National anthem, Invocation, Welcome Address by Debra Wilkes Coordinator Corozal House of Culture, Kenote Address Ms. Joanna, Vote of Thanks Mrs. Lydia Ramcharam Polard Window in the past East Indian Museum and last was the cutting of the ribbon. Energize your life this year by planning an active vacation to an epic domestic destination or an overseas adventure travel hotspot. For some people, vacation is all about pure relaxation and escape – which definitely has its benefits. But for others, the idea of flopping on a beach and doing nothing for days just creates a feeling of restlessness and even anxiety. Snorkel Belize – Head to this English-speaking Caribbean country for jungle caving, Mayan ruins, killer seafood – and some of the best snorkeling on the planet. No experience is necessary to explore the spectacular Belize Barrier Reef, the second longest barrier reef on the globe. Running north and south along the coastline, the reef is super accessible and is dotted with islands where you can base your adventure. Find gentle currents and easy shallows – or venture to famous dive spots like the Blue Hole and Shark Ray Alley. BSCFA, a Fairtrade sugar cane producer association, has been running Fairtrade International’s Youth-Inclusive Community Based Monitoring and Remediation system to tackle child labour since 2015. Last month, Belize’s Ministry of Labour announced the activation of the following bodies: Labour Advisory Board, Tripartite Body, National Child Labour Committee, and Interest-Based Bargaining Stakeholders. The establishment of these bodies represents an important step towards safely identifying cases and remediating child labour in the country. A 2015 report by the United States Department of Labor found that Belize had made minimal advancement in efforts to eliminate the worst forms of child labour, particularly in the agricultural sector, and that important gaps in the country’s legal framework still remained. 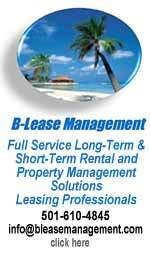 For instance, Belize has not defined what kind of work can be undertaken at the minimum age of work (14 years). Additionally, an approved hazardous list of child labour has not been finalized as yet, including a hazardous list in the sugar cane sector. Two Centuries of US Immigration Visualized, 2min. This is neat. Also watch the lower left of the screen, listing the countries. For the past 200 years where have all the people been coming from? You can stop it by clicking the arrow on the right side of the slide. Delivering 265,000 petitions to the Prime Minister, 15min. We're at the National Assembly in Belmopan as World Wildlife Fund delivers letters from all over the world asking the Government of Belize to protect the Belize Barrier Reef from the inherent hazards of offshore oil. La Ruta Maya 2017 Finish, 4min. Excellent video of the finish of this year's La Ruta Maya. Well done, J'Aerials Photography! "These guys paddled out their hearts.. Depicting the true meaning of courage and will power. Kudos to all the participants whether they were able to finish or not, you all did a marvelous job. Looking forward to see an even bigger turn out next year and may unity, friendship and good sportsmanship continue to grow throughout the Belikin La Ruta Maya River Challenge!!" Belize Adventures, 7min. Fred, Amy, Nyana and Chandwen adventuring in Red Bank and Placencia, Belize, Jan 21-Feb 3, 2017. Iguana some more! U.S. Embassy Belize Campaign- Be Bold For Change and Show Cyber Respect, 2min. Exhibiting Heroes, Patriots and Benefactors, 2.5min. San Ignacio Belize Heartz Football Club, 3min. Global Soccer Concept was invited by Belize Bank to train Heartz Football Club from mister Carlos Chavez. The Reserve Discover Belize Tour, 2.5min. Zenaida Moya Show Episode 13, 2h4. Corozal House Of Culture host “Arte Con Voz de Mujer”, 4min. Fashion Model & Beauty Ambassador - JoyJah, 23min. "Juggling" as an Industry - New & Veteran DJs Speak, 37min. Youth Advocacy through Arts (Y.A.T.A) - Youth Issues, 36min. Cassava Making, 2min. Ereba (Cassava) has always been an important part of the survival of the Garifuna people, here is a look into how it's made. Belize NOW Episode 13 - Friday, March 10th, 2017, 26min. Prime Minister Barrow Announces Successful Restructuring of the Super Bond, National Heroes and Benefactors Remembered in NICH Exhibition and the Government of Belize Signs Agreement for Feasibility Study for Upgrading of Caracol Road Project. These stories and more on this week’s edition of Belize Now. REEF WEEK 2017 - ‘TURN THE TIDE, RESPECT THE REEF’, 1.5min. Belize's Barrier Reef makes up more than 300 meters of this ecosystem; in fact, Belize's barrier reef is the second longest in the world. The Government of Belize has proposed a one kilometer buffer to protect the Reef from the inherent hazards of offshore oil. Experts say a compromise safety buffer would be a minimum of 50 kilometers. As we begin Reef Week 2017, we join the call to "Turn the Tide; Respect the Reef"! flying underWATER STINGrays Belize, 1/2min.